Both employees and employers know how important it is to follow a company’s policy and procedures. The reason why they exist in the first place is because they are what ensures that the company remains stable and productive. These policies and procedures also help a company carve its path to success. However, there will come a time when certain policies and procedures might undergo changes. So when that happens, employers have to make sure that the employees know what these changes are, as well as know whether they accept them or not. To help with that, an employee can make use of an Acknowledgement of Policy Receipt. What is an acknowledgement of policy receipt? These are the document templates that can show that you have made the effort to make sure that the employees are informed about any new business policies and procedures. As mentioned before, the point of this receipt is to hand it over to employees in the event that there are new policies and procedures, or if a particular company’s existing ones have to be changed. These are mostly supplied during informational company meetings or during in-house training session manual rollouts. The policy receipt is filled out under the direction of the Human Resources staff at the end of the meeting. During these meetings, you must also provide your employees the opportunity to express any concerns that they may have regarding the new policies and procedures. This way, you’ll have the chance to address the concerns that may be shared by many who participated in the meeting, making them feel more relieved once you’ve given them a proper and thorough explanation. Why should you let employees sign the policy receipt? The reason as to why you have to make sure that an employee signs the policy receipt is fairly simple. By having them sign the acknowledgment receipt, this confirms that you have communicated the contents of the policy to the employee, as well as made sure that the employee has accepted whatever information you have provided regarding the policy. This is very helpful during cases when an employee was not able to follow company policies or procedures. If the employee states that he or she was not aware of a particular company policy, then all you have to do is provide this receipt template to prove your case, assuming that it has the employee’s signature on it. So once the meeting is over, you have to make sure that the employee receives this document so he or she can go over it again and sign it. You have to remember to never let an employee take the company receipts home. Remember that this is proof that your employee has understood whatever took place during the policy and procedures meeting, so you’re going to have to gather these immediately once the employee has finished placing his or her signature on it. When an employee is new or when you want current employees to be updated regarding the company’s policies, then you’re going to have to provide these people with a manual. With the help of a manual, you can ensure that the employee has a copy of the information regarding any of the company’s policies and procedures. This is just as helpful as a policy acknowledgment receipt and both of them work hand-in-hand. Plus, it will definitely help your business in the long run by ensuring employees know the policies and stick to them. So here are the steps to help you make proper employee policies and procedures manual. The first thing that you’re going to have to do is to come up with a list of tasks that each department in your organization is responsible for completing. You can assign this task to one person, or you can assign it to one individual in each department. If the task falls on the shoulders of one person, then you have to make sure that he or she has the support of the department heads. Make sure to write down the job description. When you have figured out what each department in your company is responsible for, you have to determine what tasks an employee does within their respective departments. This will allow you to evenly distribute the workload and it will leave you better prepared to hire new employees for when the time comes. Outline the procedure template. Now that you have a list of the different tasks that each employee is responsible for, it’s time for you to write down step-by-step instructions on how your employees should complete them. The point of outlining the procedures is to help new recruits with their employee training, as well as make sure that existing employees know what these procedures are and for when they have to cover each other’s work during absences. Consider the employee’s monthly and annual tasks. You shouldn’t just outline the daily tasks of the employee, you have to include the larger projects that happen infrequently such as quarterly reviews or even board presentations. You have to try and schedule these task so that the employee can better prepare for them when the time comes. Make sure that the manual provides new employees with useful information. You can provide new employees with tips regarding how they can get acquainted with their new working environment. This will help reduce their reliance on other employees and make them feel more comfortable. So you can share information such as bathroom locations, how to make requisitions, where to park, and much more. As stated before, employees and employers both know that policies and procedures are what keeps a company from falling apart. 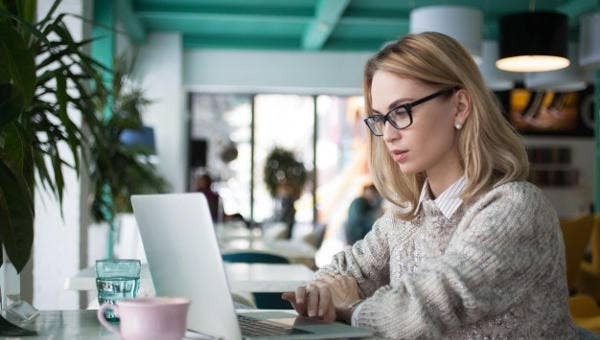 So if you would like to learn more about policy acknowledgment receipts or if you would like to make acknowledgment letters for company-related purposes, then you can go through any of our articles that should give you the information as well as the letter templates that you need to help you out with this task.